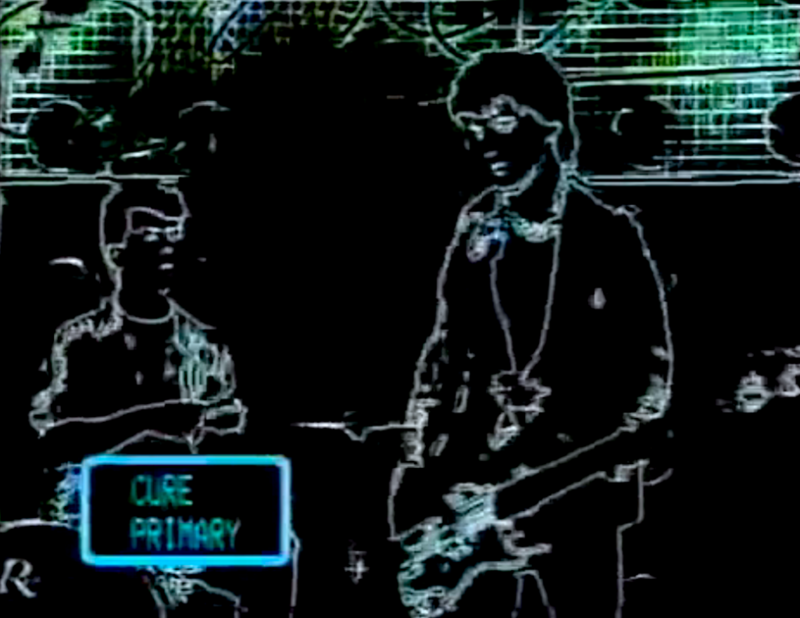 On March 27th 1981 The Cure’s new 7″ single Primary was released in the Netherlands. It was the first and only single off the upcoming Faith LP. In those days The Cure didn’t do a lot of music chart TV programmes yet. They had only done a mime performance of A Forest for TROS Top 50 in 1980. But that TV show ended later that year. Star Club was sort of a follow-up programme from the same broadcasting association. It had a slightly broader concept, also presenting current trends, items about films and interviews. Star Club debuted at the beginning of 1981. If I’m right it only lasted one year or maybe even only one season. Probably sometime during March or (beginning of?) April 1981 The Cure flew in to Holland to do a mime performance of their new single for Star Club. A great recording of that pretty rare performance recently resurfaced on YouTube. I guess 27 April 1981 must be the broadcasting date. You can watch it here. And here you can read more about The Cure’s quick visit in a nice interview Muziek Expres did with the band on the very day of the show.